Let's say you need to touch up your makeup, or get rid of the dreaded afternoon oil slick on your t-zone - but you don't want to end up looking like you've rolled in a pile of powder. What's the solution to have a pulled together matte look, particularly in hot, humid temps? 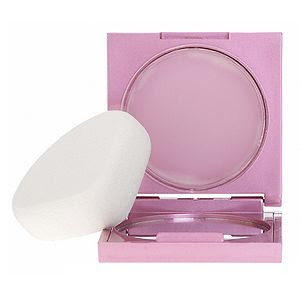 Mally Beauty now has your answer with her Mally Beauty Evercolor Poreless Face Defender. Her clear, gel based mattifying product keeps skin matte (it's not a "dewy" finish), but it never looks like there's a mound of powder on your face. If you have an oily t zone or oily skin overall, this product is a a must have. You only need to apply it where you need it, and I found the best way to apply was to take the included sponge, swipe over the gel lightly and dab only my forehead and nose area. This works much better than blending or rubbing it in (using the included sponge is essential however!). I found that 1 or 2 thin layers at a time is really all that's needed and creates the best look. (More than that can leave a slight pale/chalky effect to darker skin tones). For very oily skin or touch ups during the day I recommend combining a blotting sheet with a layer of the Mally Beauty Evercolor Poreless Face Defender and you'll be fresh and confident for hours. *This product was provided courtesy of Mally Beauty PR for reviewing purposes.